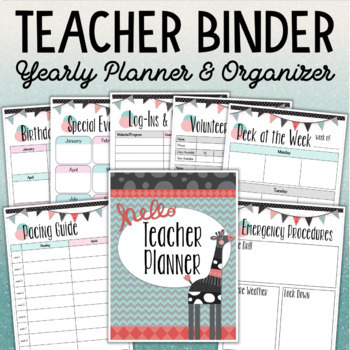 Simplify your school year with this all-in-one Teacher Binder! If you struggle to keep track of all the details of your busy days, this organizer is for you. 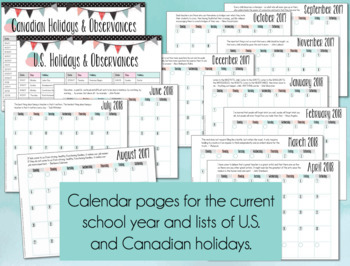 It has everything you need to plan your year including forms, planning sheets, calendars, record keeping and more, with free lifetime updates! Unlike a lot of other planners, this one won't use up all of your ink! Many pages are black and white or have limited color to avoid expensive color printing. 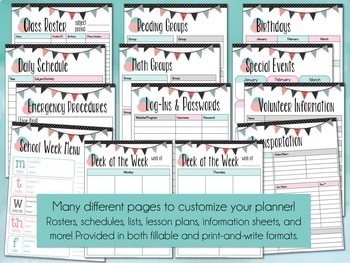 •	Editable templates to create any others that you need! 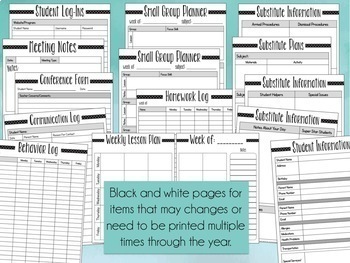 Pages that include a class list (such as attendance and contact info) are provided in two versions: one that fits up to 24 students and one for 30 to accommodate larger classes.